Noomi Kovacs—an overeager graduate of the LeCarre Institute for Exceptional Spies (L.I.E.S)—has just landed her first job at Penderbrook Motors’ Division of Outside Intelligence. Confined to an office and underestimated by her gruff supervisor—a disgraced former government agent named Turn—Noomi will have to exploit her colleagues and surroundings to help further her dream of becoming a globetrotting secret agent. Once in the field, Noomi and Turn begin to realize that their company’s dogged pursuit of their rivals extend to something far more sinister than “healthy competition” and the two will be forced to reconsider the paths they’ve chosen. Lying, blackmail, and emotional manipulation will become Noomi and Turn’s greatest assets as they make their way through…The Low Road. An original score of swirling psychedelia and dusty Americana by Eric Cheng, featuring songs performed by Win Well. XGen Studios is an independently owned and operated game developer of several award-winning titles on consoles, mobile platforms and the web. Established in 2001 and located in Edmonton Canada, we're a team of passionate creative people, united by a desire to create the type of games we wish existed. We're excited by emerging technologies and the new experiences these make possible. Since 2001, XGen Studios has released 10 internally-developed, including the #1-selling hit Defend Your Castle for Nintendo’s WiiWare™ Service and Day-1 PS4™ title Super Motherload. During the production of The Low Road, XGen’s Founder and CEO, Skye Boyes, passed away. The Low Road is dedicated to Skye for the inspiration, leadership and friendship he brought to the XGen team. 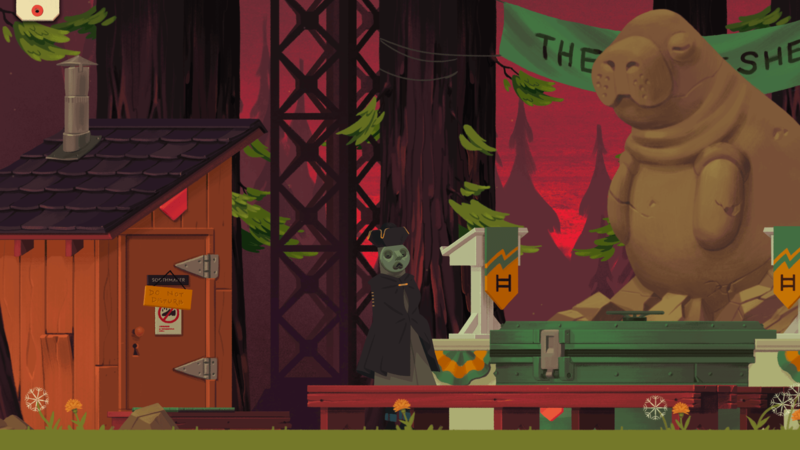 The Low Road is XGen Studios’ first point-and-click adventure game and has financial funding support from the Canada Media Fund 2014-2015 Experimental Stream. Defend Your Castle invites players to become commanders of their kingdom and fight off relentless hordes of invading enemies. Earn powerful spells and upgrades for your arsenal as you repel the onslaught. Immense masses of invaders employ many types of soldiers in their quest to seize your domain; will you and your court rise to the challenge, or stand aside as they raze your castle to the ground? • Fortify and upgrade your castle as you repel faster and more massive waves of invaders. Neither snow, nor rain, will slow the horde of barbarians; night is your only respite! • Utilize a variety of Magic Spells to aid in your defense! • Unlimited levels - Continue to grow the strength of your Kingdom indefinitely! Motherload is the game that takes you under the surface of arcade-style gaming and into the roots of old-school fun. Tipping the hat to subterranean favorites such as Dig Dug and Boulder Dash, Motherload incorporates fast-paced gameplay, entrepreneurial strategy and a storyline with extreme twists. Work your way through the dynamic and exciting depths of the substrata of Mars, where you'll search for the Motherload; A fabled cache of rare and valuable minerals. Experience the dangers of Martian soil, complete with hidden gas pockets, earthquakes, and other surprises. Purchase powerful upgrades for your Mining Pod with the fruits of your labor. Compare high scores with friends to see who the champion really is. When you've finished the game, challenge more difficult gameplay modes. 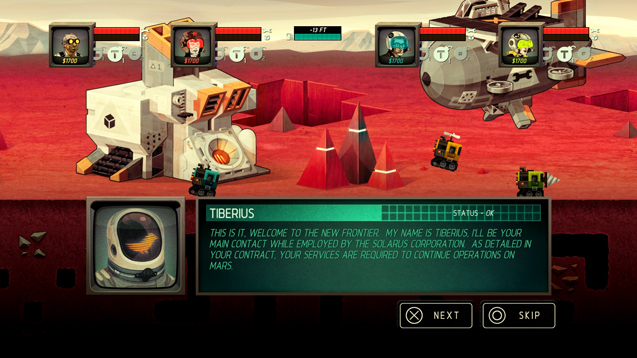 Super Motherload is the sequel to XGen Studios' original hit Motherload.